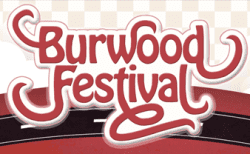 The Burwood Festival, held on the 8th October 2017 at Burwood Park is the largest free community event in Sydney’s Inner West. Held at Burwood Park, the festival’s main stage program will include a diverse range of performers, including local schools, community groups and professional artists. The one day event will showcase a kids’ area, food, merchandise and information stalls, model boats, classic car show, sensory journey, live street art, workshops and roving performers. As SSBT has recently relocated to Burwood, this event provides an opportunity to introduce SSBT to the local community and say hello to the locals. SSBT will have its own stand with staff available on the day to showcase our 17 year history of providing quality vocational education in Business, Accounting, Hospitality, Child Care and English courses. Our Certificate iii and iv, Diploma and Advanced Diploma qualifications provide a strong platform for our students to continue their education at University. To commemorate SSBT’s first Festival attendance we will be offering a 5% discount on all short courses to anyone who registers their interest leading up to and on the day of the festival. Short courses on offer will include; Responsible Service of Alcohol (RSA), General English, English for Academic Purposes, IELTS and PTE Preparation Course and short courses relating to Tax, Hospitality and First Aid. Visit our Facebook page to register your interest and come and say hello to the team on the day!